Admirals View Lodge & Motel offers a range of quality self-contained accommodation in Paihia, Bay of Islands, New Zealand. Relax in our peaceful accommodation in central Paihia – enjoy the sunny terraces with beautiful sea views overlooking the stunning Bay of Islands (from most units). Park your car and meander along to the beach, restaurants and cafes from your luxurious Paihia accommodation. Let us book you a trip to see the Bay of Islands and the famous Hole in the Rock. Take a bus on an exciting journey to Cape Reinga or enjoy the thrill of swimming with dolphins. Enjoy a ferry ride to Romantic Russell or soak up the history at Waitangi Treaty Grounds. 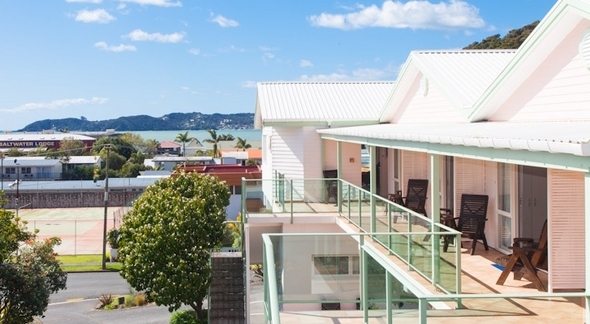 Admirals View Lodge is a Paihia motel well located for walking to all your Paihia activities and attractions - plus tours pick up daily from the motel. We are close to the Paihia beach (only 1 block, 250m) but benefit from a peaceful location away from Paihia's main roads.